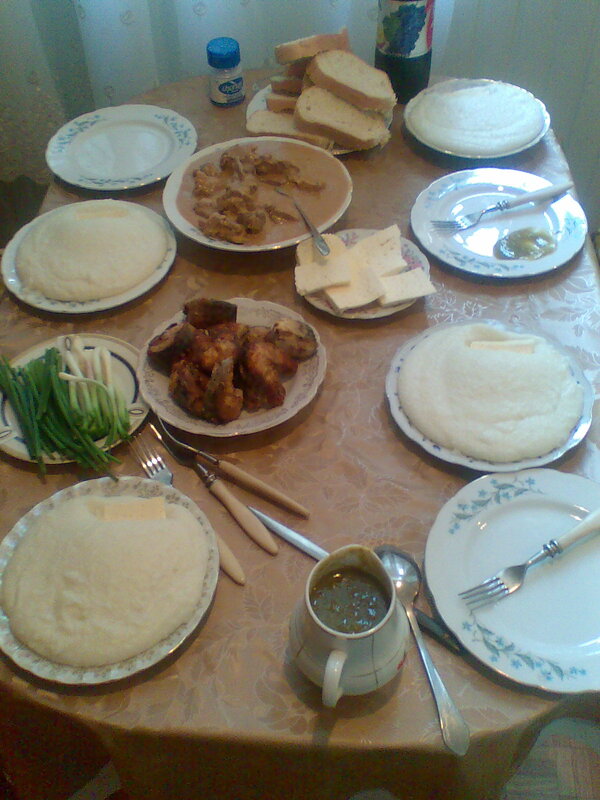 The pitcher at the bottom of the picture is filled with tqemali, a delicious sauce made of young, unripe plums. Georgians eat it with just about anything, the most popular being fried potatoes. It was great with ghomi. 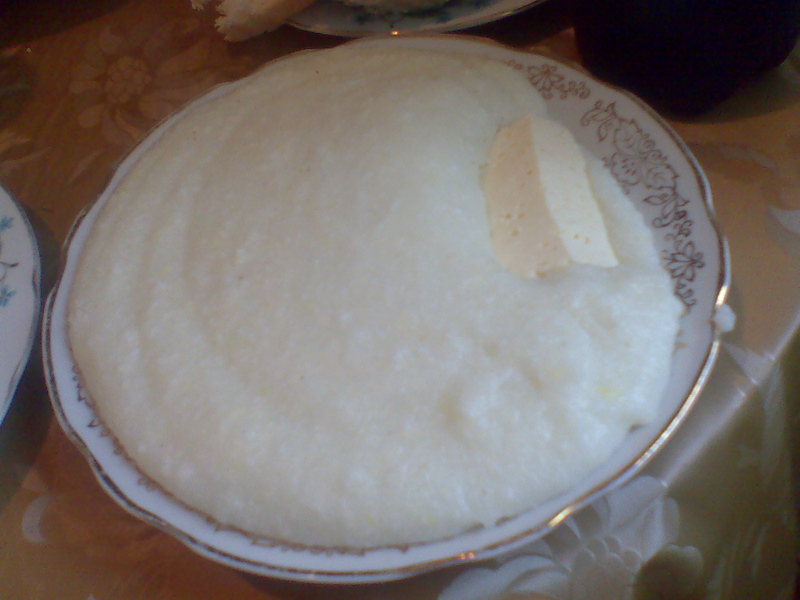 Ghomi is apparently almost identical to polenta, my (sort of) native maize-flour mush, except it’s white instead of yellow. Must have something to do with the kind of flour used, though I can’t say exactly in what way. 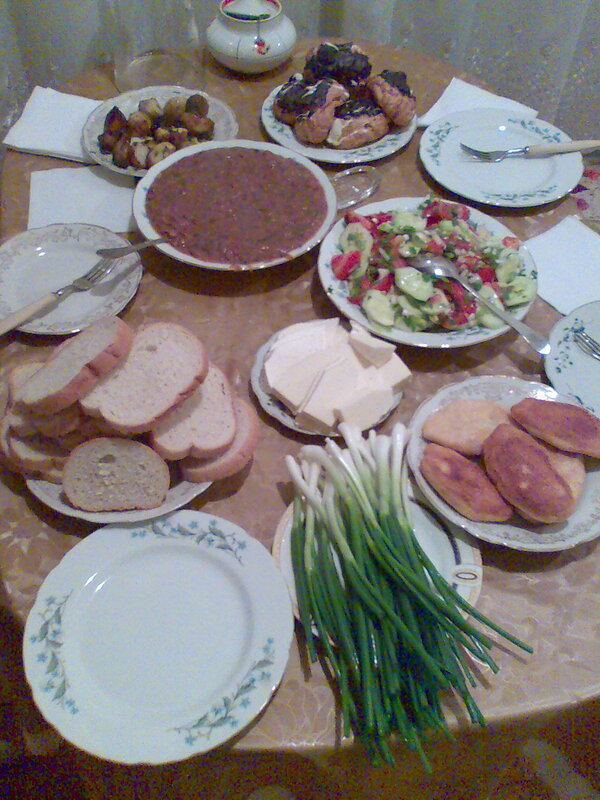 Khatuna’s mother put a chunk of sulguni into one side, which relaxed and melted into a stretchy, mozzarella-like consistency. Megrelian spezzatino! 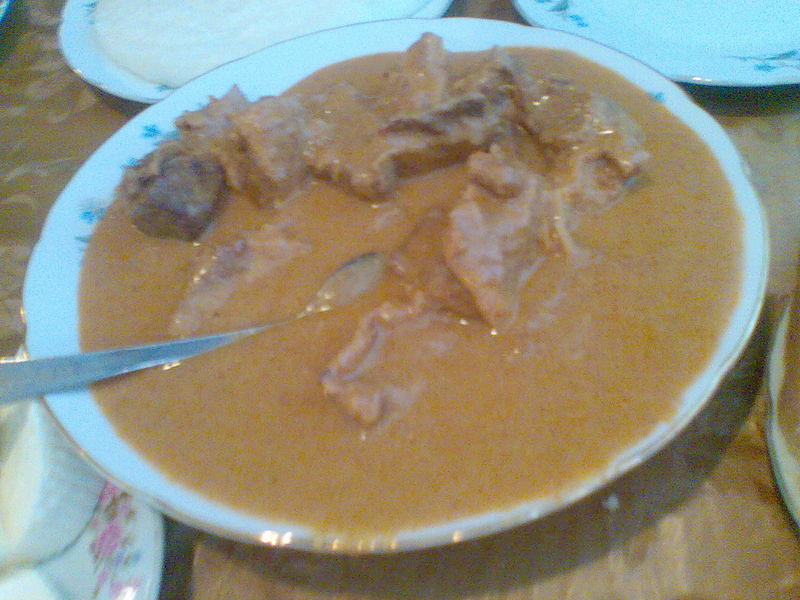 The sauce is a kind of that walnut-paste sauce that’s pretty common here, and the meat is beef. Pretty delicious.